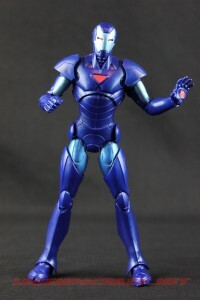 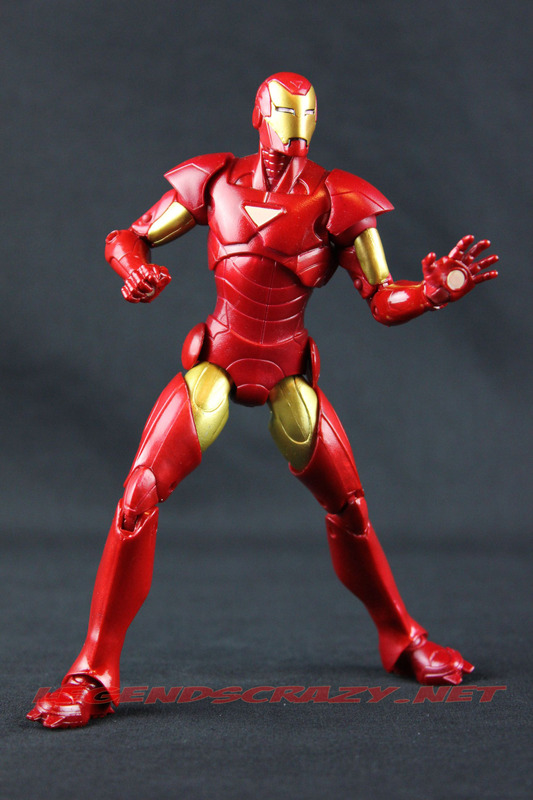 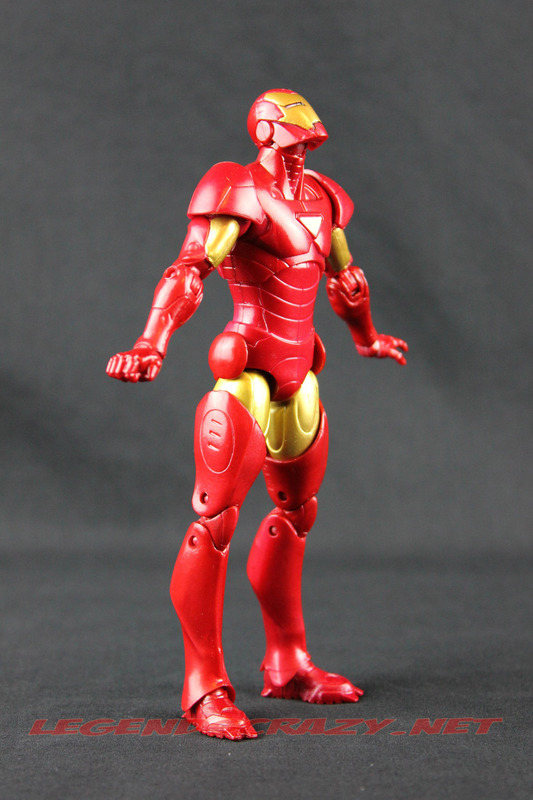 Today’s featured action figure from Hasbro’s The Return of Marvel Legends is Extremis Iron Man. This figure also has a variant with a blue color change to represent the Blue Stealth Armor. I think that for some reason Hasbro seems to think we always need a Blue Stealth version of every Iron Man figure they produce. 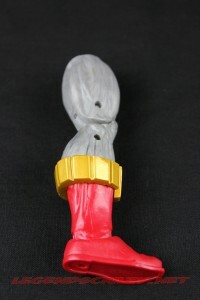 Don’t get me wrong, I like to expand my armory just like everyone else, it’s just starting to seem a bit comical to me. 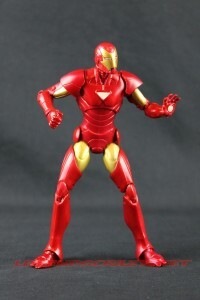 OK, so I have a “small” problem with this figure. 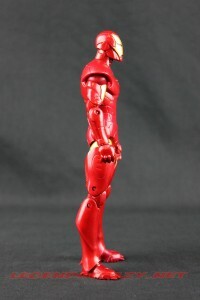 My problem with this figure is, that he’s way too small! 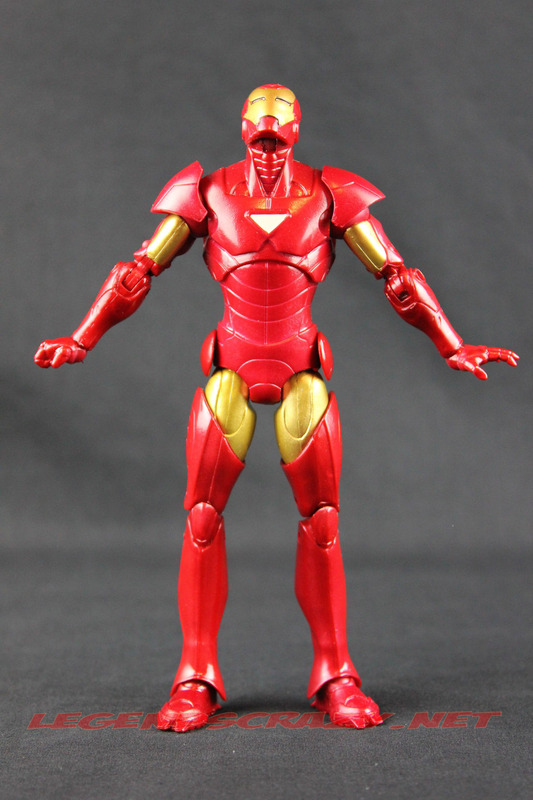 Dear Hasbro, we have an average-sized man inside a suit of armor, therefore he needs to be a little bigger and bulkier, thank you. Beyond that “little” issue, I do like the figure. 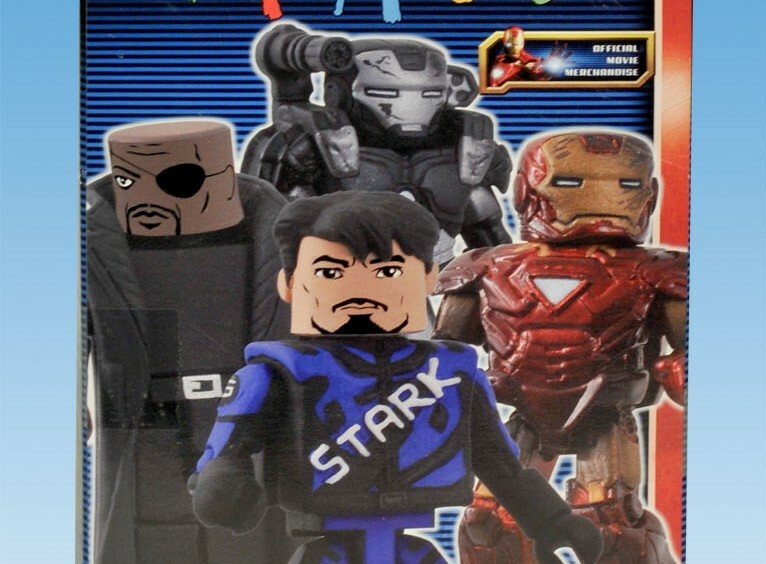 They finally got the head right this time too. 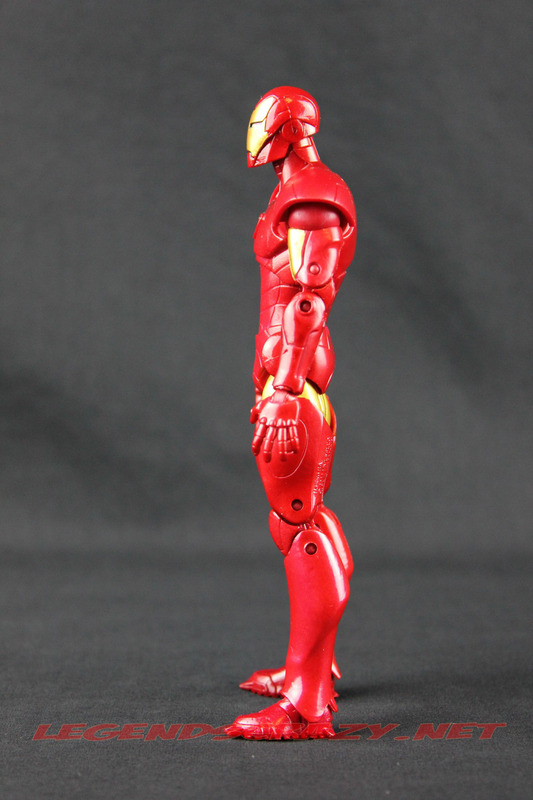 This version can tilt his head all the way back for flying poses. Yeah! The paint they used for both versions has a bit of a shine to it without just being glossy. 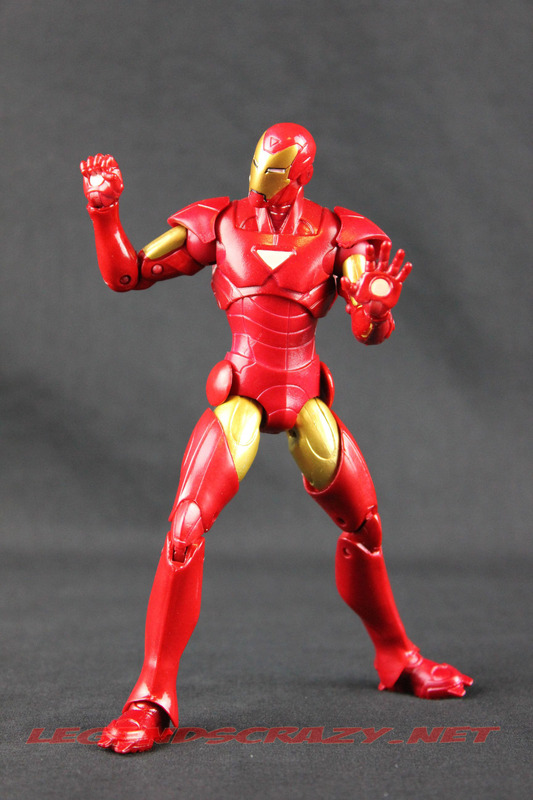 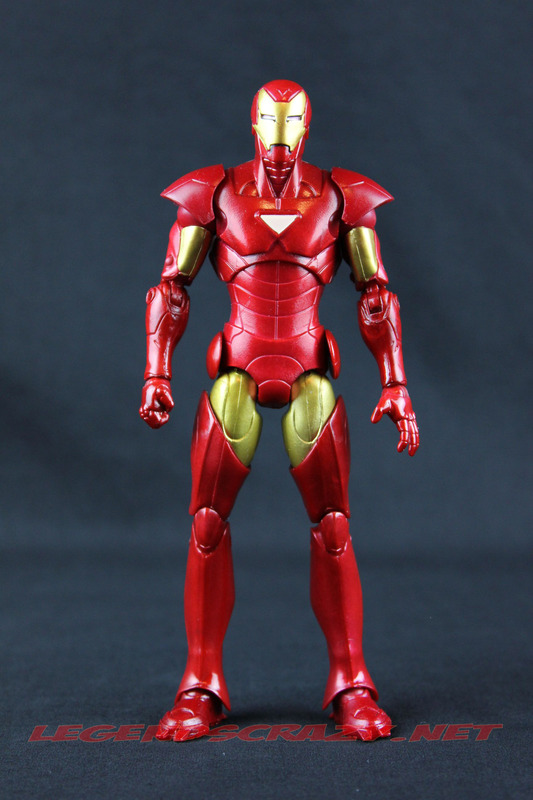 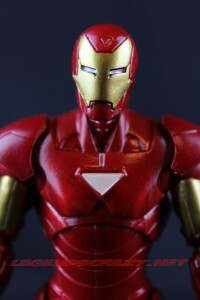 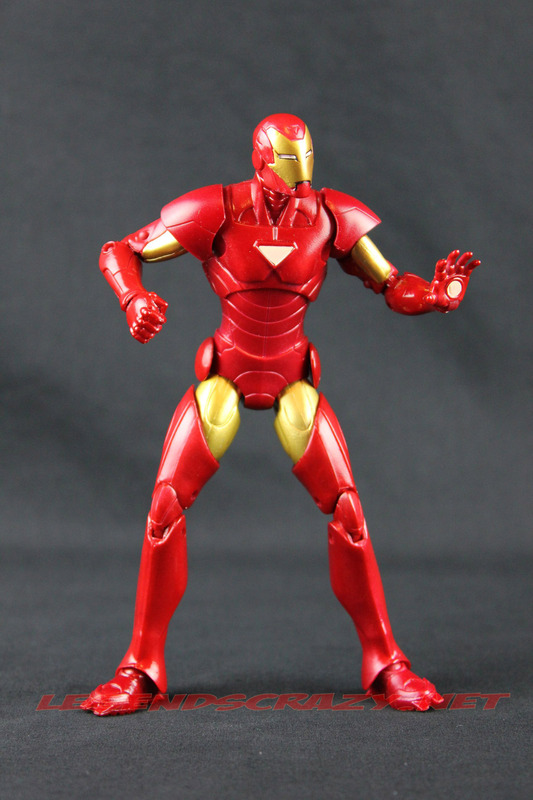 Iron Man has a ball-joint neck, ball-joint shoulders, double-pinned elbows and swivel hinged wrists. 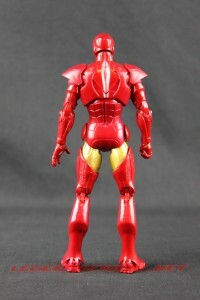 He has a mid-torso cut, single hinged hips, a cut mid-thigh which is hidden by the leg armor, double-pinned knees and swivel hinged ankles which are somewhat restricted by the cuffs on the lower leg armor. 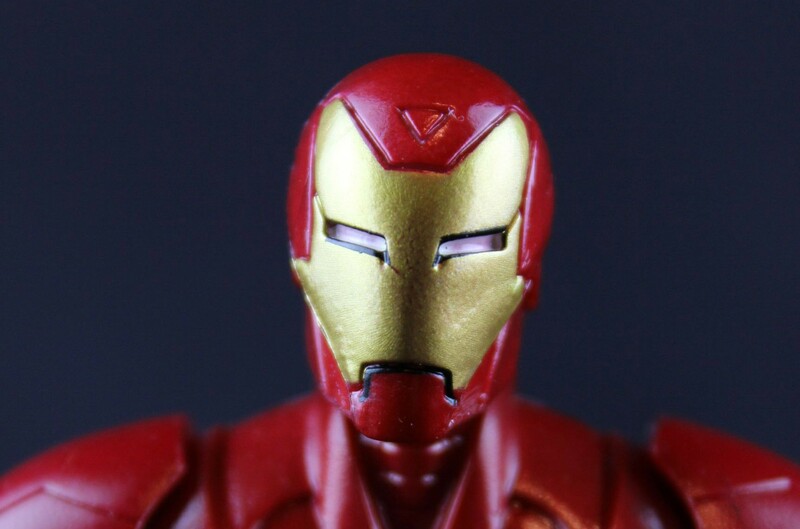 Both the shoulder armor and the circles on the side of his belt also move. 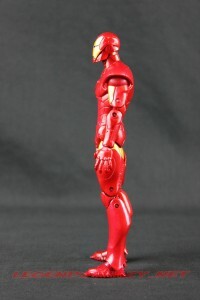 The way they sculpted the hip joints restrict him from getting into any deep crouching poses. You can only go so far forward or backwards at the hips. 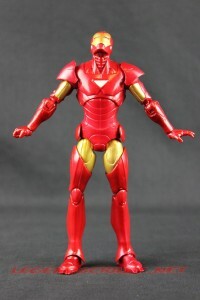 There were no accessories included with Extremis Iron Man. 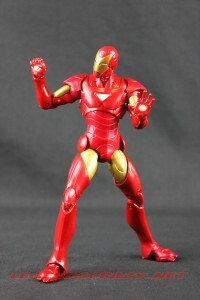 It would have been a nice addition to have some extra hands like they included in the last couple of waves of the Iron Man Legends line. 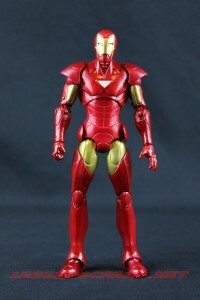 Extremis Iron Man is actually more in scale with the figures we got from the Iron Man Legends line. The Terrax Build-a-Figure part is the right leg. 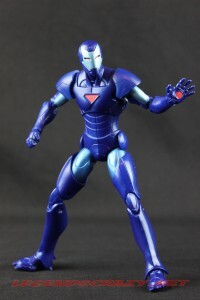 Although, I’m glad to finally see the Extremis Armor represented, but I’m hoping for a better Iron Man figure next time around. I’m sure we’ll see more of this Iron Man sculpt down the road though. 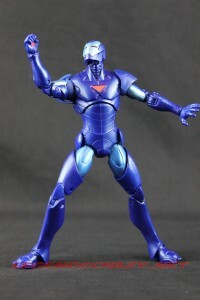 I wouldn’t be surprised to see another version of him again in Wave Four. 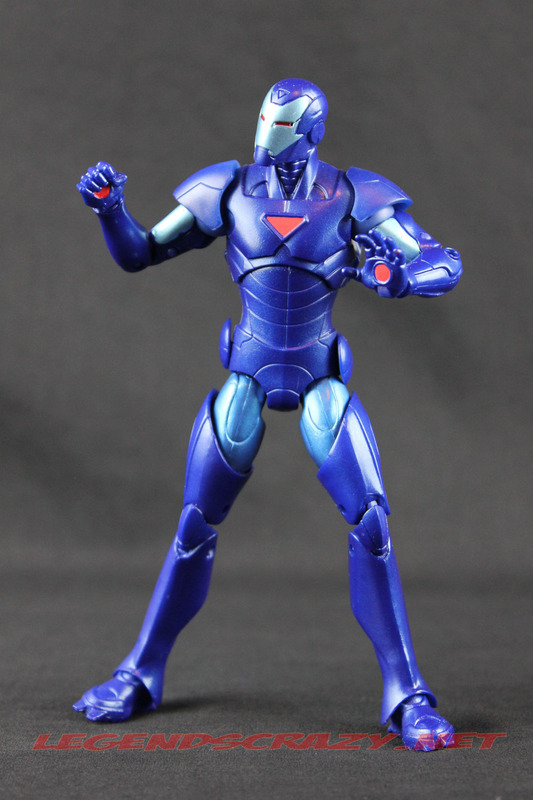 After you’re finished reading this, Rocket-boost yourself over to Enchanted Toy Chest and pre-order your case or set of Wave Two of Hasbro’s The Return of Marvel Legends!